Happy New year to you, love the comics, keep up the good work! 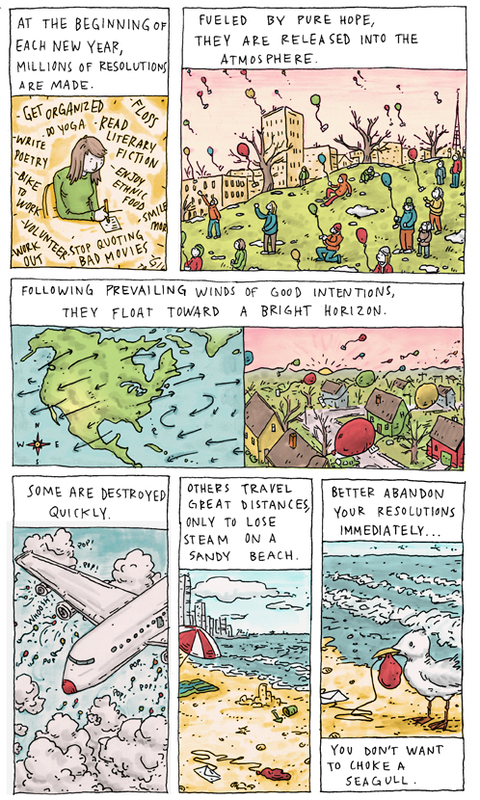 I love that "environmentalism" is tagged in this post :P You make some damn swell comics. "I can't bike to work - I'm not employed" I was unemployeed so many times and then I enjoyed myself the most. I hope you may colour many more nice drawings! Happy new year! Haha, this was great! Especially the part where you say what you've done and what you haven't (or can't do). I love your comics. This one is really great! Would it be ok with you if I feature it on my website one day soon? It is a post-breast cancer site. We know a lot about the stress of making resolutions!